What would you do if you weren’t afraid? This is one of the opening lines in “Lean In,” the debut book from well known gender equality advocate Sheryl Sandberg. Ms Sandberg has gained a lot of traction over the last few years as a champion for helping women to “lean in” in the workplace. Awareness and advocacy for gender equality has always been a women’s movement, but Sheryl and many feminists like her (including men) are changing the dynamic. In business, a goal without a plan is just a wish. In the campaign for gender neutrality, real goals are being identified at national and international levels and importantly, real plans are being formulated and put into action. At international level, women and girls are now high on the agenda, as set out in the United Nations Sustainable Development Goals to transform our world. At national level, many companies have introduced quotas of the number of women they want to have in senior positions. 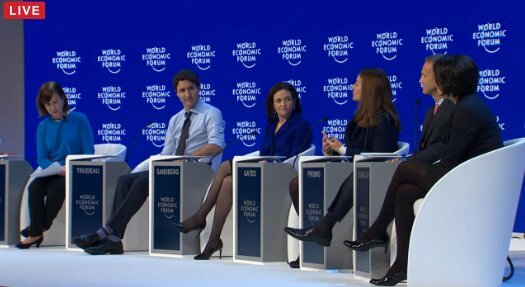 This is positive and proactive, however a point was made this year on a gender equality panel at the World Economic Forum. 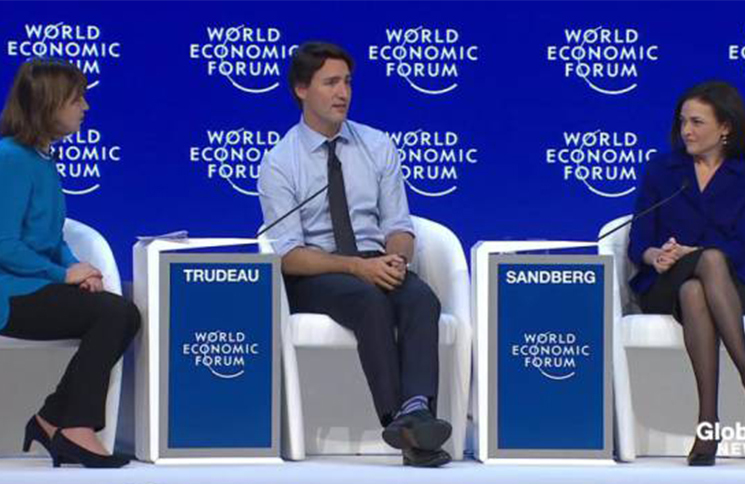 Justin Trudeau, Prime Minister of Canada and leader of the first ever gender balanced cabinet said that his reasoning in appointing both men and women wasn’t anything to do with “what is right” or “what society will be responsive to.” He said that he would get better decision making and better governance from a group that reflects the diversity in the population he is serving. This is a turning point. It not only shows action at government level which will most likely trickle down to corporate and civil society but it also realizes that the divide shouldn’t be men and women, appointments should be made on merit, regardless of gender or role. Prime Minister Trudeau went further in saying that legislation is the easy option. “We need a cultural revolution towards gender parity,” making the point that mind sets can be harder to shift. Sheryl Sandberg echoed this sentiment and said that this cultural revolution begins at home, with children being treated equally when it comes to chores and pocket money and even with the parents themselves, taking an equal share of responsibilities. The discussion of gender quality on the world stage is important, however UN Women and passionate gender equality advocate Emma Watson are putting words into action with an international campaign #HeForShe. He For She is about uniting men and women in the fight against inequality. This campaign is unique in that it brings men into the conversation and encourages them to be part of the solution.There has already been 2.5 million tweets connected to the #HeForShe thread. This is expected to increase as He For She 10 x 10 x 10 rolls out across the world,an initiative in which leaders can adopt a framework and commit to gender equality in their workplace. In the interests of diversity and achieving the greatest good for society, Horyou stands in solidarity with this campaign and every person on the road to achieving equality for men and women.